AMS Help Desk - Support Ticket System is intended to provide the customer or end user with information and support related to a company's or institution's products and services .The main benefit of ticketing software is that it simplifies and automates help desk ticket management. Your first line of defense is the integrated knowledgebase allowing customers to resolve common issues themselves. A well-written knowledgebase can save you tons of support tickets! 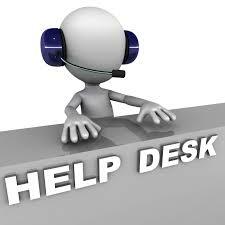 If no solution is found, customers can contact you by submitting a web form or sending an email. Staff can insert queries received elsewhere, such as over the telephone or on social networks. Automatically assigns a unique ID to each issue - a support ticket is born. Not all issues are of equal importance. Allows you to prioritize tickets by urgency, organize them into categories and filter them in other easy, convenient ways. Each ticket is assigned to a staff member, either manually or automatically, who uses the web interface to speak with the customer, add notes, attach files and modify ticket details. Wrong department? No problem. Simply redirect the ticket so the correct staff can work in it! Customers are notified over email when staff responds to their ticket and the issue is resolved. It tracks overall help desk and staff performance, allows you to generate statistics, convert useful solutions to public knowledgebase articles and much more.